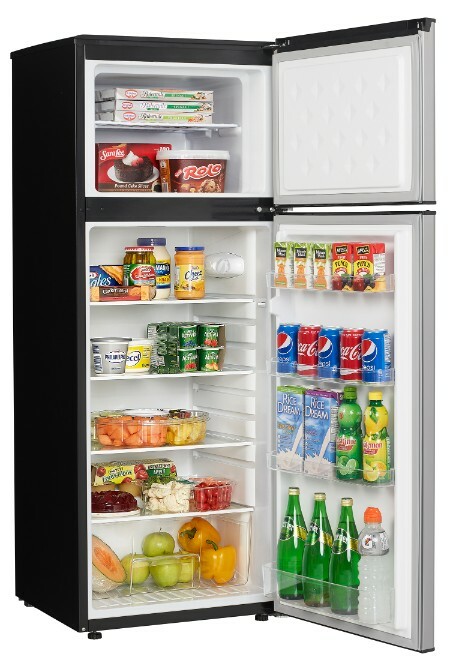 This 7.3 cubic foot (206 Litre) spotless-steel refrigerator by Danby features three adjustable glass shelves and one transparent crisper bin to keep your vegetables and fruit fresh. 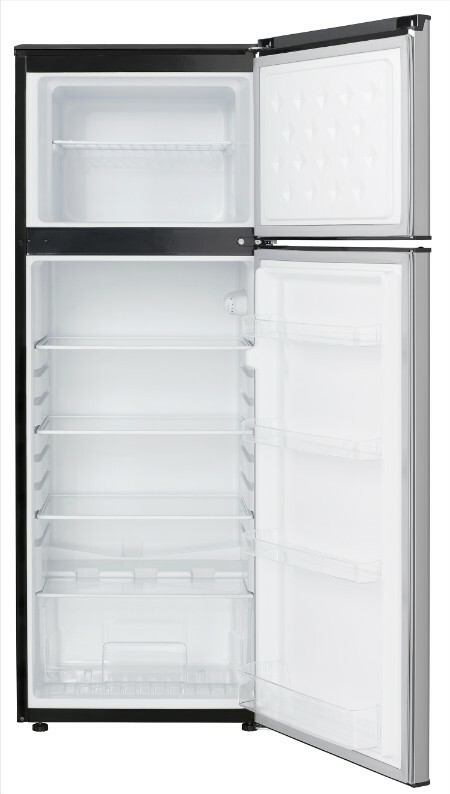 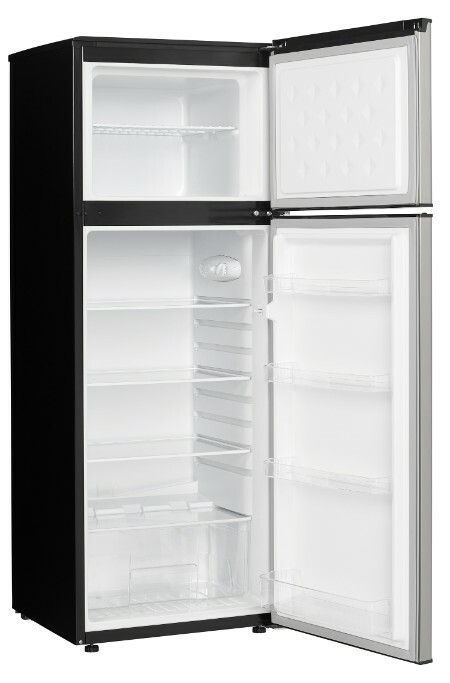 Its reversible door allows for right or left-hand swing to fit almost any space, while its four clear-door shelves and storage for gallon bottles make it easy to keep your fridge organized. 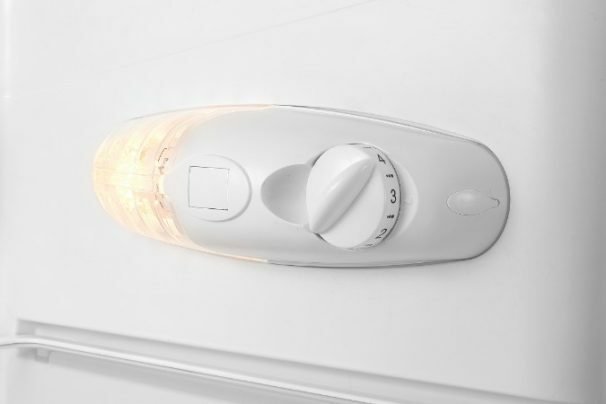 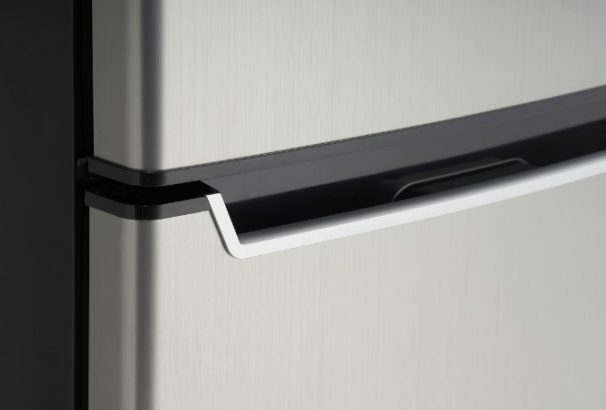 Choose automatic defrost for the refrigerator and manual defrost for the freezer compartment for easy maintenance all year round. 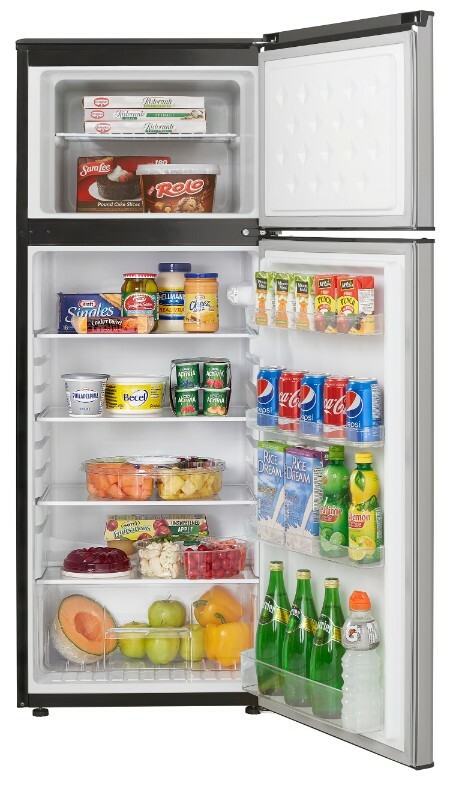 This Danby is backed by a 12-month in-home warranty.